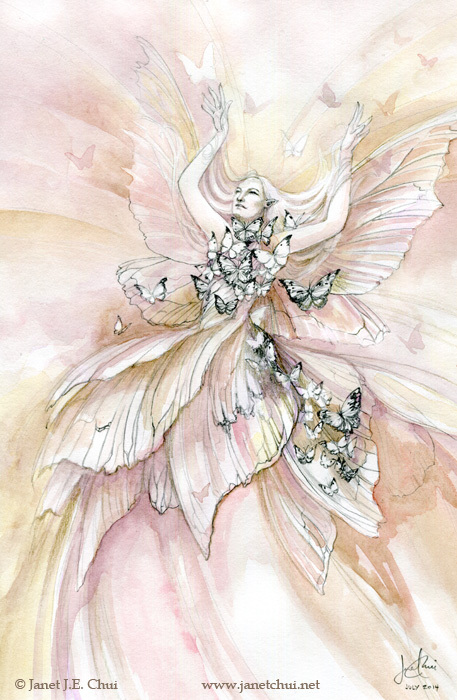 The Butterfly Dress, 2014. All rights reserved. The possibilities–“right” or “wrong”, easy or difficult–flit in and out and test our focus. In this seeming chaos, anything can be triggered and released, just as anything can be manifested, given enough commitment. There is a fine balance between holding fast to what we want, and being aware of what’s surfacing to our attention: Do you still want to focus on other people’s problems? Do you still want to play with these illusions? Do you want to re-examine this memory/experience that has made you always react a certain way? Can you understand what needs to change? Strip away what is false and does not work. And keep going. At the end of 2014, I shared with others that it felt like we were all headed into very new territory. In the past month, I feel as if I’ve been in an old jalopy traveling into an unpaved landscape–the suspension is non-existent. Things–and people!–keep falling off the vehicle as we continue on the bone-jarring ride. Loose change is falling out, all the old and buried stuff is coming out of long-forgotten pockets. We can look at the stuff coming loose, but we’re not stop to pick any of it up again; it’s not for bringing along. What’s meant to stay with us will find their own way. Better to have both hands on the wheel and eyes on the horizon.